I hate strep! I very rarely get strep but came down with it this week. I couldn’t get to the doctor right away so I looked into natural treatment options. Strep is about the only thing I will take antibiotics for. Some people have treated strep successfully using the methods below. One of the main treatments is the use of apple cider vinegar (ACV). 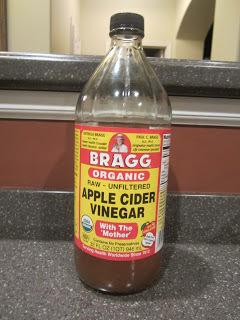 I can’t stand ACV so I knew that wasn’t going to work for me but I did gargle it once. When using any of these methods, it’s important to not just do them one time or even once a day, but several times a day. Whether you choose to take antibiotics or not, these treatments can help with symptoms and quicken recovery. It takes about 24-48 hours for antibiotics to kick in. That’s a long time to be in pain. I do the things listed below in addition to antibiotics. I am not giving medical advice. Below are things that I do and have researched. See your doctor if you are sick. 1. Gargle hot water with salt. I use sea salt. This one is a common one but make sure you do it several times a day. 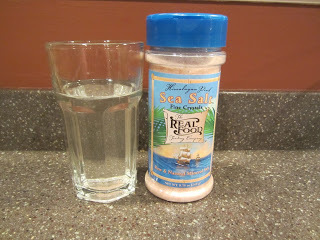 Once I gargle with salt water, I move on to adding the next three items below to the same glass. 2. Gargle hot water with honey. Honey is antibacterial. 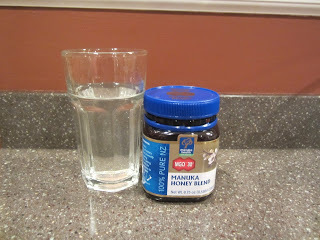 I use Manuka honey but any honey will do. 4. Gargle warm water with fresh lemon juice. You can drink this too if you want. 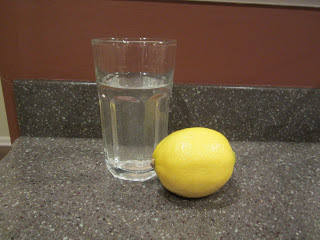 You don’t want your water too hot because it will kill some of the live enzymes in the lemon juice. 5. Gargle with apple cider vinegar. ACV is the best thing to use for strep but to really kill strep you need to sip it (and swallow it) several times throughout the day. 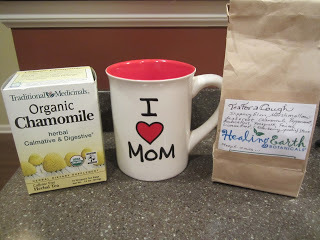 An organic brand with the mother is best. I use Bragg brand. I drank ACV once when I was having a gallbladder attack and I was throwing up for the next couple of hours. I was pregnant at the time though and had to be given something to stop the vomiting. I’ll never try that again. 6. 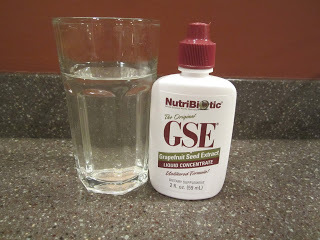 Gargle with warm water with grapefruit seed extract (GSE). I use Nutribiotic brand from the health food store. 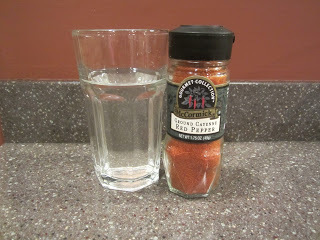 I haven’t done this yet but I’m guessing you would want to use about 5-10 drops in a small glass of water, then gargle. I add between 1-4 drops to my daughter’s juice to help fight yeast. 7. For a homeopathic remedy, you can use Mercurius. I’ve not tried this yet. Combine this with ACV if you plan to use this instead of antibiotics. 8. 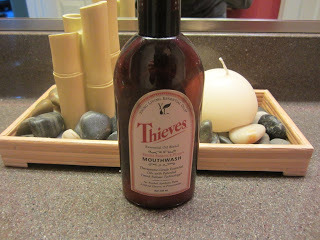 Thieves mouthwash (not for kids). I’ve heard that colloidal silver can kill strep but have never tried it. This mouthwash contains colloidal silver. I like to use this mouthwash, especially when I’m sick. It makes my mouth burn, making me think it has to be killing bacteria. I order mine online. 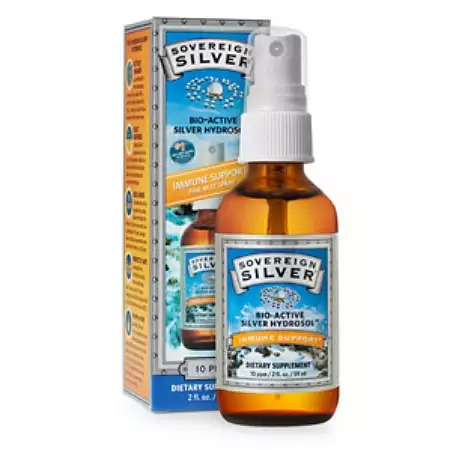 2016 update: I got strep again last year, and I used Sovereign Silver colloidal silver. I took one teaspoon twice a day the first day and the next day my strep was gone! I knew I had strep because my daughter had strep and my throat was killing me but couldn’t get an appointment until the following day so decided to try CS. When I went to the doctor the next day, I tested negative for strep. So, for my kids, I use 2-3 sprays of the silver. We have used it to get rid of pink eye as well. Couple sprays to the eye. Some people don’t like to use colloidal silver because they don’t feel it’s safe b/c it’s a metal. There are conflicting studies out there. Our homeopathic recommended it and it works so we’ll use it as needed. 9. Eat fresh garlic. 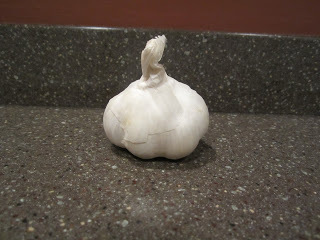 Fresh, not cooked garlic will kill strep. I have a bruschetta bread recipe that uses fresh garlic. Just don’t heat it up. You can mince it up and add it to something else like toasted bread with butter to make garlic bread. 10. Take vitamin C. Take about 1,000 grams (500 grams for kids) of vitamin C every two hours. I just took it about four times a day, but I was also juicing fresh juice. 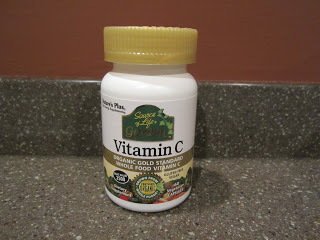 Make sure you are taking a high quality vitamin C. Vitamin C from Sam’s Club will not be high quality. This one is made from whole fruits and vegetables but some people can’t tolerate the high oxalates and salicylates in this vitamin. Pure Encapsulation makes high quality vitamins. 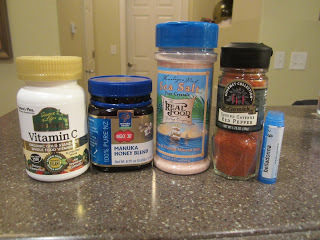 I order them online from www.iherb.com or www.vitacost.com. 11. Juice. I had started juicing every day for the two weeks prior to getting sick so I have been wondering if this a symptom of detox. It is possible to have strep that sticks around in your gut. I don’t know anyone who has strep right now. I’ve only been juicing about once a day though with either grapefruit/orange/strawberries or green apple and kiwi, with kale, spinach and sometimes parsely added. I also sometimes do a shot of wheatgrass. I wouldn’t be surprised if this was just from detox because I’ve had my gallbladder removed so I know my liver has to be messed up. But, juicing is a great way to get fluids and nutrients in you at the same time. 12. Take probiotics. You want to increase the number of good bacteria you have in the body to help fight off the bad bacteria. Especially important if you are taking antibiotics. Yogurt won’t cut it. Yogurt only contains CFU’s in the millions. 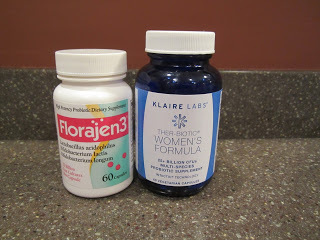 I take Klaire’s probiotic for women that has 25 billion CFU’s. That would be a lot of yogurt. The article below says taking a probiotic of at least 10 billion is best. We sometimes use Floragen-3 which contains 15 billion. My holistic doctor told me to double my probiotics while taking antibiotics as the antibiotics will be killing off all of the bacteria. Just make sure you space out your supplements. I take the antibiotics around 8am and 8pm, and my probiotics around noon and sometimes right before bed. You want to have at least 3 hours between the two. 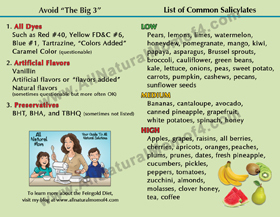 It’s also best to take probiotics away from food if you can but not completely necessary. When taken with food, it will help digest the food. When taken away from food, it can focus on cleaning up yeast and bacteria. 13. Take Belladonna (homeopathic) if you have a fever. This does contain a small amount of dairy. Fever is often accompanied by strep. Be aware that with homeopathics you need to take them more than just once. 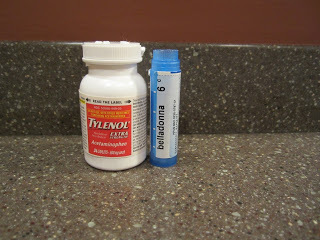 If you need something more to help with fever, take Tylenol white tablets (the round circle ones). These are the only ones that do not contain dyes. If it is for your child, you can crush it up and add it to juice. They may only need half or a quarter of one tablet. Check with your doctor for the correct dose. It dissolves and has no taste. Or add it to pudding, yogurt, ice cream, etc. If I ever do this, I only add it to the first bite, to make sure they get all of it. They may only choose to eat one or two bites. 2016 Update: We never use Tylenol anymore! It depletes glutathione which the body needs to rid the body of toxins. We will use Advil or Motrin tablets (or the generic equivalent) instead when needed. The gel caps usually have blue dyes. The reddish tablets are usually colored with a natural substance. 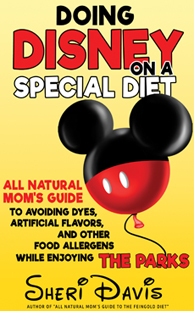 It won’t list dyes in the ingredients. You can also use Lime essential oil for a fever. Dilute with coconut oil and use 1-2 drops on a cotton ball. Apply to the bottom of the feet and spine every 30-60 minutes. I also apply oil of oregano to the bottom of the feet as an antibacterial and immune booster. 13. Drink tea. My midwife makes tea from organic herbs. She has one she made for us that is for a cough but it contains many of the herbs that are good for a sore throat too. Check your local health food store. They have teas that are specifically for sore throats. Otherwise, I always have Chamomile tea on hand which is always good for anything. It is antibacterial and anti-inflammatory. You can also add some honey or lemon juice to your tea. We were in the store one day and I heard my daughter from behind saying, “Oh, can I buy this? !” I was about to say no but then I turned around to see what she was holding. 🙂 She didn’t have to twist my arm. 14. Increase other immune boosting supplements. 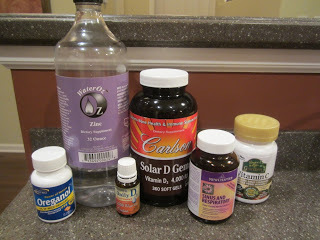 For any sickness, I like to take vitamin D, vitamin C, zinc, and echinacea (I have a respiratory supplement that contains garlic, echinacea, and a few other good herbs). I also like to take Oil of Oregano. Olive Leaf Extract (OLE) is supposed to kill strep but I was out. OLE is good to take on a daily basis if you have a child who has chronic strep. Also, if your child has chronic strep, take them to a holistic doctor. They need to get his under control and find the root cause. They likely have a suppressed immune system and will have major yeast overgrowth from taking antibiotics so much. 15. Get plenty of rest. This one’s a no brainer. If you have strep, no one has to tell you to lay down and rest. But, your body is at war within you, trying to fight off this strep bacteria, so you need to make sure you get plenty of rest. 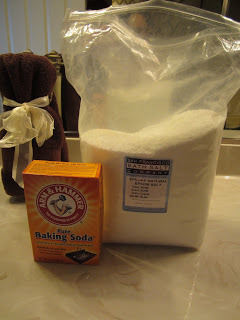 Take a bath with epsom salt and baking soda (not too hot if you have a fever). This will help you detox. I order our epsom salt online from San Fransisco Bath Salt Company (www.sfbsc.com) as it does not contain any contaminants. 16. Avoid sugar while sick. Sugar will feed the bacteria and sugar suppresses your immune system, making your recovery time longer. If you’re really craving sugar (this will likely happen once you start taking antibiotics, try drinking some fresh juice or fruit instead). 17. Increase water or fluid intake (but not pop!). 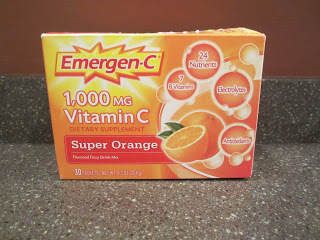 Emergen-C is good, though some contain gluten. You need fluids to help flush the toxins out of your body. It does no good if your body kills off these bacteria, but has no way to get out. Make smoothies and freeze them into popsicles for little ones. 18. 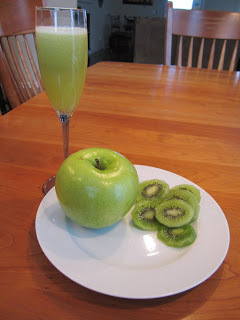 Dr. Christopher’s Strep Blend – here is a recipe I found online but didn’t try. I didn’t think I’d be able to stomach it, although it doesn’t sound too bad. 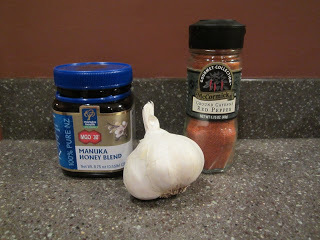 Combine 1 TB of raw honey, 1/4 to 1/2 tsp of cayenne pepper, and 3 garlic cloves, grated. Combine and chew and swallow 1/2 tsp every half hour. See link below for the full article. If you take antibiotics, ask for one without dyes or artificial flavors. This will throw your doctor and pharmacist for a loop at first, but they do have it. Occasionally, I have to go to a different pharmacy to get it, but most have it. It is a big white tablet. I cut it in half and swallow them separately. They also make one that is in a capsule. The outside capsule has dyes but the inside is fine. I sometimes use these for my kids because you can just open the capsule and dump what you need into their juice. If they only have the tablets, I just crush up the dose that I need if it’s for my child. They may only need a quarter or a half. They’ve started making the liquid antibiotics without dyes now but they are still artificially flavored. We tried it once and my 12 month old was up all night and would not go down for his naps. He was insanely crabby and fussy. After two days of this non-sense, I called his doctor and had them switch him to the tablets, and I just crushed them up. You also have the option of finding a compounding pharmacist in your area. They can make the liquid antibiotics for you without added flavor or dyes. I’m not sure how it tastes and I know the crushed up tablets are tasteless so I just go with those. But, I know some people who go the compounding route. Check around your local grocery stores. Our local Meijer’s has free antibiotics. They also have free prenatal vitamins (though likely they are not very good quality). They figure if you come there for your prescriptions, they’ll make their money off of you when you go shopping while you wait. Wal-Mart has antibiotics pretty cheap too. I think they are about $4. I try to get mine from Meijer, but last night I went to the Walgreens Take Care Clinic and it was more convenient to get my prescription from them. However, when I got the receipt, I was shocked – $23! And that was with insurance. I think I’ll go to Meijer next time. 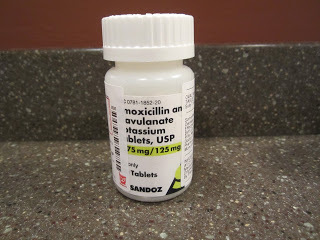 I heard the pharmacist tell the doctor that Augmentin was the only one they had without the dyes but this prescription says Amoxicillin, so not sure what they gave me. And don’t forget to throw out your toothbrush 24 hours after you’ve started antibiotics. You don’t want to reinfect yourself. Or, you can put your toothbrush through the dishwasher to disinfect it. My doctor also said to throw out my toothpaste. I hadn’t thought of that. I hate to throw away a whole tube of toothpaste but I guess it’s cheaper than the $60 I just shelled out for a doctor co-pay and prescription. 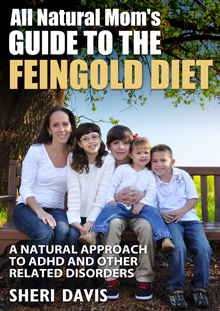 To read about our story of how removing the Big 3 (dyes, artificial flavors, and preservatives) helped recover my son from symptoms of ADHD, check out my book, “All Natural Mom’s Guide to the Feingold Diet” available on Amazon. Posted in Biomed, Natural Living and tagged All Natural Remedies. ACV does NOT kill strep! In fact most mouthwashes which kill 99.9% of germs don’t either. In lab studies done on toothbrushes even soaking them for 20 minutes in different mouthwashes didn’t do the trick unless put in the dishwasher as well as soak. It took BOTH to kill it. While you can replace your toothbrush easily the study shows clearly that strep and most viruses just can’t be killed that easily. Gargling with warm salt water can help ease the swollen tissue and glands as you heal but as of yet the ONLY things that kill strep are antibiotics and phages. Only antibiotics are available as phages are still being tested. Get your kid to a doctor and on an antibiotic. The only thing ACV does is burns your throat and makes the inflammation worse. Especially for a small child. Don’t do this to your kids. You’ll do way more harm than good. Most acids (vinagars) and essential oils will burn your skin if left on for even short periods of time. They can actually cause 3rd degree burns for those with sensitive skin or if left on for a prolonged period of time (over an hour). They will most definitely burn and cause irritation for any mucous membranes they come in contact with. 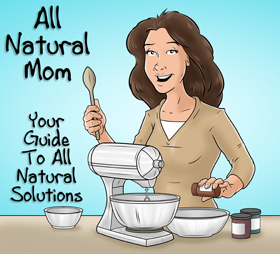 Poison control deals with thousands of calls a year because of burns, severe headaches, and many harmful effects of both ACV and essential oils. These can be very dangerous. Drink some honey lemon tea and gargle with some salt water. Take your antibiotics and take Ibuprofen (Advil). In 24-48 hrs. you’ll be feeling fine.